Telecommunication systems are the lifeblood of any business. Whether it’s communicating within an organization or interacting with customers, there is no method that’s as efficient or effective. 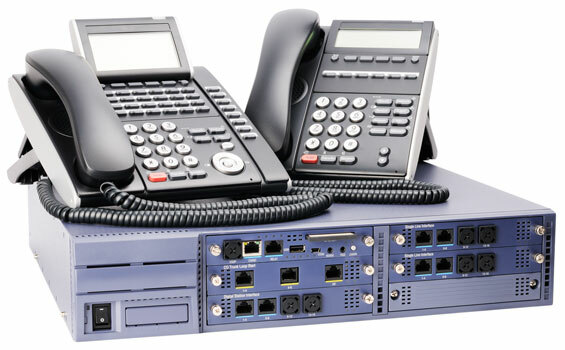 Modern phone systems are designed to handle such tasks as interfacing with mobile devices and computer systems, interacting with a company’s web site and delivering messages in a variety of formats. For over 20 years, Mid Continent Capital, Inc. has teamed up with ServiceMark Telecom, a local Missouri company and NEC Lighthouse Associate. ServiceMark Telecom provides companies with NEC on premises business telephone systems, and NEC Univerge Blue Cloud Based Telephone System Solutions. Many companies have employees on the go! With NEC Mobile Extension, any calls that ring a worker’s office phone can simultaneously ring their mobile phone. And with Unified Communications, mobile workers can easily see the availability of other co-workers, instant message co-workers, and feel like they are in the office! Mid Continent Capital (MCC) is a leader in financing all types of phone systems and operating software. Get the system you need with an affordable monthly payment that doesn’t tie up your capital. If manufacturing is your business, you know your standards must be exact. Foreign suppliers may be cheaper, but they often can’t match the flexibility and quality of domestic manufacturers. Yet manufacturing is a capital-intensive process. If you are tying up your capital by owning your equipment, you are putting yourself at a disadvantage. Leasing your manufacturing through Mid Continent Capital (MCC) can help you remain competitive and free up your capital for other uses. Leasing new equipment, in particular, can help your business become more efficient. 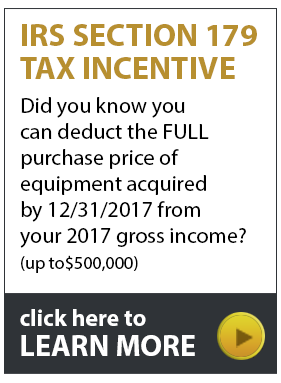 • Lease new or used equipment depending on your needs. • Easily add equipment for short periods, depending on your business needs.